There are a number of advantages to working for someone else that being a sole trader does not offer. However, for some people, the number of advantages to working for yourself is immeasurable, and as such, more and more people are becoming sole traders each year. What are the advantages to having an employer, and is it possible to enjoy those advantages while still remaining self-employed? As a sole trader, you will be in total charge of your accounts. You will have to collect all invoices, calculate and pay your tax, and ensure that the price you charge for your services manages to cover both your wages and your costs. You will even need to be aware of all VAT-related issues that might come up – whether you need to collect it and send it to the tax man, and whether you can claim it back on items that you have bought. This is something that in the past, your employer would have taken care of. While you will have a lot more freedom as a sole trader, you will also have a lot more headaches when you realise just how much there is to consider. It is not just your wages and costs that need to be put aside either – you will also need to ensure that you put aside money for tax and NI contributions each month. These are all aspects of working that you never had to think about when you were employed by someone else. The shift to being a sole trader means that you will have a whole new bunch of responsibilities. This is both in terms of administration and your personal finances. One of the main reasons why people go self-employed is to avoid hassle. The ability to work for yourself on your own terms is something that a lot of people dream of. However, the associated headaches that come with being self-employed can put people off. There is a solution though – you can cover it all with an umbrella company. This will remove a great deal of the hassle and headache involved with being a sole trader but will allow you to retain the benefits of being a sole trader. How exactly? Put simply, an umbrella company will take over the finances of your business. The umbrella company will collect invoices, calculate tax and NI contributions, and pay you a wage. It is basically like an accountancy service that goes the extra mile for you. 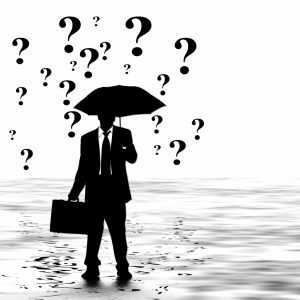 You are not answerable to the umbrella company, so you will not suddenly have a boss again – all they do is deal with your finances. If you operate under an umbrella company instead of being a sole trader, then you are able to enjoy all of the benefits of being self-employed without having to endure the drawbacks. It is a win-win situation. If you want to be self-employed but struggle with the financial side of it, then an umbrella company might just be what you need.